The Martinez Cocktail is a variation on the martini – hence the name. It bumps up the vermouth ratio, and adds a touch of triple sec and the usual dash of orange bitters to bring everything together. The first thing to hit you about this one is the orange flavor, but it quickly gives way to complex herbal notes. This drink is a nice choice with dinner at the end of a long day. Put some ice in a mixing glass. Add all the ingredients and stir. Strain the mixture into a cocktail glass. 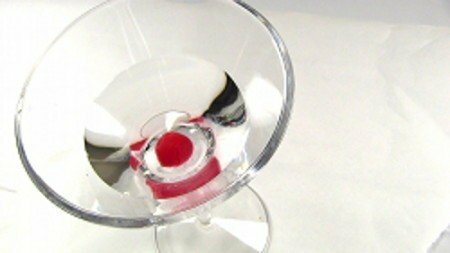 Drop a cherry in for garnish.